Mitchell Starc, who picked up a calf injury last year had to miss the IPL. The pacer has taken legal action against the insurers of his IPL dead to get his $1.53 million. It is reported that Starc filed a lawsuit in the Victorian County Court on this case. He was picked up in the auction for $1.8 million by KKR but was not able to take part in the tournament. Starc had a $1.53m policy which would be effective had he missed the IPL season through injury, with Starc having paid a premium of $97,920 to be covered between 27 February and 31 March in 2018, as stated in a writ. "The parties have exchanged correspondence about the plaintiff's claim which culminated in a final response from the defendant's representative in the form of an email sent on 22 November 2018," the writ said. "That email confirmed the defendant's contention that the plaintiff is not entitled to the total disablement benefit." This page contains news relating to various facts and events. The views are generally about current affiars and general topics in diversified areas such as political, international, national, and regional issues, sports, health, travel, lifestyle, technology and business. People having similar interets on the above topics will find this page useful. 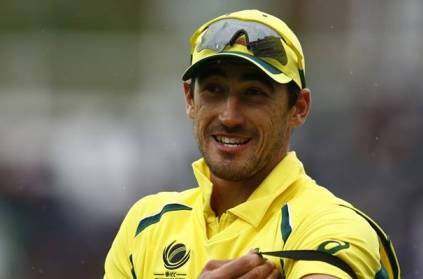 Starc sues $1.53 million after missing IPL 2018 due to injury | Sports News.